At the end of the term of the current (16th) Lok Sabha, the Bharatiya Janata Party (BJP) continues to have the highest number of parliamentarians charged with criminal offences. Across parties, of the 521 Lok Sabha members of parliament (MPs), 106 (20%) are charged with serious offences such as murder, inciting communal disharmony, kidnapping and crimes against women. As many as 55% of these are from the BJP (92), compared with 2% from the Congress (7), 3% from the All India Anna Dravida Munnetra Kazhagam (AIADMK) (6), 17% from the Shiv Sena (15) and 7% from the Trinamool Congress (TMC) (7), an analysis by National Election Watch (NEW), a campaign run by the advocacy group Association for Democratic Reforms (ADR), shows. The 2014 elections saw the highest number of people facing criminal charges being elected to the Lok Sabha, a 14% increase from 2009, as IndiaSpend reported on May 23, 2014. From the beginning of the current Lok Sabha until now, there has been a marginal decrease in the number of MPs with criminal cases, from 186 (34%) of the initially elected 541 members to 174 (33%) of 521 members now. At the beginning of the term, Uttar Pradesh had 12 MPs with serious criminal cases against them, the highest among all states, and now has even more at 21. In Maharashtra, from 11 at the beginning of term, the number is now 19. In Bihar, the number has more than doubled, from 8 in 2014 to 18 in 2019. At the end of the term, 15 are from the Shiv Sena, seven from the Congress, seven from TMC and six from the AIADMK. Of the 106 members charged with serious offences, 55% are from the BJP. 10 of the 106 are charged with murder--four from the BJP, one each from Congress, Nationalist Congress Party (NCP), Loktantrik Janata Dal, Rashtriya Janata Dal (RJD) and Swabhimani Paksha, and one is an independent. 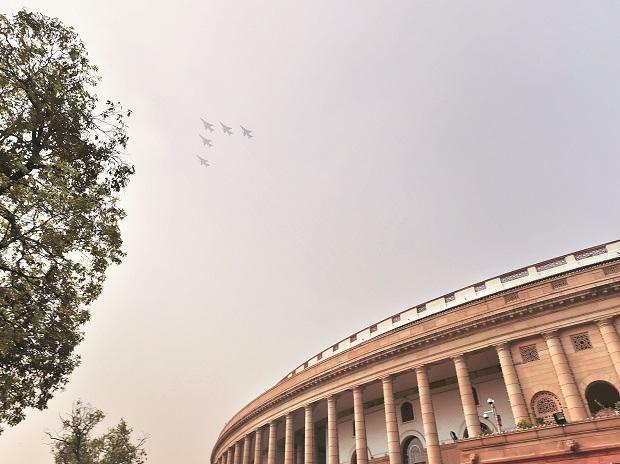 In all, 430 of the 521 MPs have declared assets of more than Rs 1 crore. The BJP has the most--85% of their 267 MPs. The average assets held by BJP MPs amount to Rs 11.89 crore. Republished with the permission of IndiaSpend. You may read the original story here.